Search Engine Optimisation is not dead, and it actually became more and more important and became a necessity to be successful online. We will list below why SEO should be part of your online marketing strategy. SEO is not dead and it works. The Google algorithm got more complex and focusing only on content and keywords is not working anymore. The Google algorithm takes over 200 factors into account, before showing your website for a certain keyword. The complexity made it harder now for a business owner like yourself to do SEO on your own and be successful with it. The focus goes to an optimal user experience on your website, while performing strategically clever SEO strategies to push your website in front of the right people. With a well planned and tailored SEO strategy you will be rewarded with higher organic positioning and more traffic. We hear a lot that more and more videos and images take over. But how is a search engine going to see what a user on your site sees? For example, an image of a man walking his german shepherd in the park. A human sees that image and sees it is a man walking his brown german shepherd in the park. The search engine algorithm cannot ‘see’ that. Fortunately that is where SEO comes in handy and provides clues for the algorithm to ‘understand’ the content. Also SEO is great for branding and establishing your business online. The more you show up when people search for relevant keywords for your business and the more people click on your site, the more the algorithm learns and shows your site. Search Engine Optimisation offers a great Return On Investment (ROI). Many other online marketing tools like Pay per Click (PPC) or buying leads does not offer the same high ROI as SEO. While PPC might drive more revenue, it also costs a lot more. Especially when your competition is willing to pay more per click than you. Search Engine Optimisation is also an inbound service. You only show up when people are actually looking for your service. Yeah alright with PPC it is very similar, but with a significant difference. PPC is limited to the keywords you are bidding on, the price you are willing to pay for a click and so on. Wit SEO you literally show up when someone is looking exactly for what you have to offer (when done right). That being said, half of the battle is already won even before it started, because now you only need to convince the the potential client that you are the right fit. No convincing that they need your product or service, they already know about that and need the right business to purchase from! Over 85% of people look for recommendations and reviews online before making a purchase decision, and this number is steadily increasing. Almost everyone is looking for products and services online these days, and that is not going to change any time soon. The questions is, do you want to be found and locate your business online, or not? Not having a good SEO strategy in place will make it almost impossible for potential clients to find you, and will end up with your competition. Don’t fall behind, it is essential! This year the amount of mobile traffic exceeded the traffic to traditional desktop devices. Isn’t that crazy? That means, more people look for services and products on tablets and smartphone than on PCs! With this explosion of mobile usage there are not only new techniques for SEO, but also Must-Haves. Google’s algorithm now puts more emphasis on websites that are mobile friendly. When your site is not mobile friendly it will automatically rank much worse than responsive websites. And you know what that means…missing out on a ton of potential clients! Every update to the search algorithm by Google or other search engines it changes the way they look at your website. Social media indicators, which did not exist a couple of years ago, now are of quite some importance to your overall ranking. Not having a well balanced content profile will hurt your organic ranking, since it is one of the major factors Google looks at theses days. That should come at no surprise to you. Of course your competitors are doing SEO, they want to outrank you, get the clients you have, achieve the same online success that you do. That’s why SEO is a never-ending process. If you don’t keep up with all the changes to the Google algorithm, your competitors will. Don’t let your competitors out maneuver you by ignoring or not maintaining this valuable tool for your business. 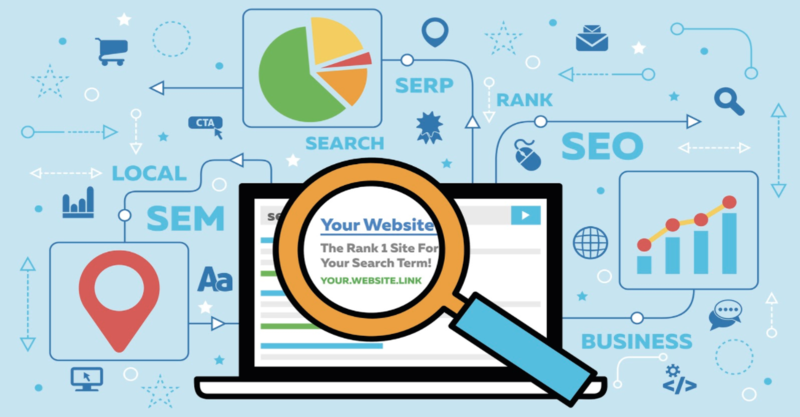 Investing in organic search engine optimisation is more important than ever.